Employee development is the ongoing process between an employee and a manager. Companies need rising stars to fill new positions and one of your roles as a manager is to foster employee development to meet these needs. All employees will benefit from development, but you should concentrate on those who show the most potential first. There are five areas you should focus on in employee development. The goal is to develop their skills, increase their knowledge and to uncover their talents. Coaching involves regular discussions between a manager and the employee with the goal of improving their performance. Coaching is often used as tool for dealing with poor performance. With employee development the role changes to raising the employees performance to a higher level. Counseling is a discussion for the purpose of helping the employee to sort out any personal difficulties. In employee development there may be added pressures or stress that can arise. If you see the employee is struggling with a development task sit down and talk with them. They may have fears or other emotions that are interfering with their development. Teach them how to deal with these emotions so they can progress and learn how handle them on their own in the future. 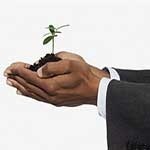 Mentoring differs from coaching in that mentoring is about overall career growth and guidance. You want to motivate the employee and help them to understand their potential and how that potential can be achieved. Show them why they should develop a career plan and help them see their future role in the organization. Your manager or another manager can act as a mentor, but you have a role to play since you interact with the employee on a daily basis. With employee development teaching revolves around soft skills. These skills lay a foundation on which the employee can build. Expanding your employees technical skills are an essential part of employee development. These are on-the-job skills as well as specialized technical skills. The focus should be on gaining expert knowledge in their area. This is an area where a manager can help by advising and encouraging the employee, but the real work should be done by the employee. It can involve taking classes, obtaining certifications or gaining knowledge from experts in your department. Where Do I Find Time? As a busy manager you may wonder where you will find the time to do all of this. Remember your primary role in employee development is to guide the employee. Most of the work should be done by them. Everything can not be done at once so focus on key areas. Use delegation to give real world experience and in the process help get your own tasks done. Remember that their success is your success, so as a manager you will benefit as well as the employee.